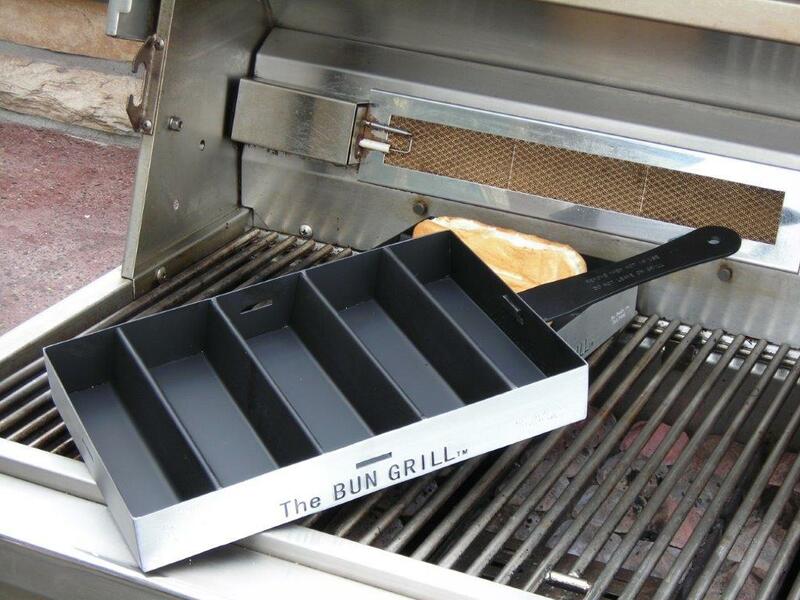 The Bun Grill is the first of it’s kind with a design that is durable to withstand the heat of a burning hot grill broiling oven, and stove top skillet. 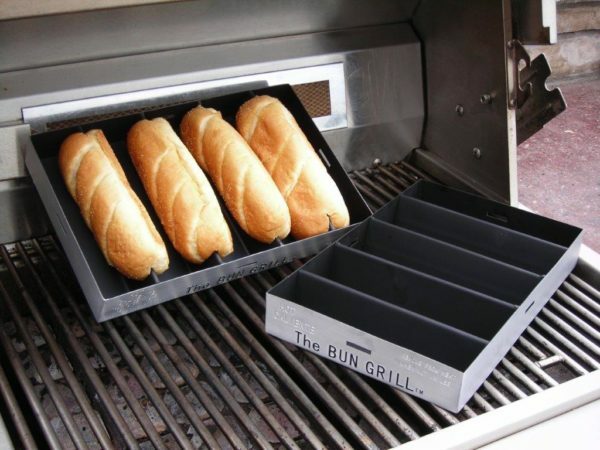 Not only are the dividers used to toast just the inside of the bun, but the space in between the dividers can be used to keep your hot dog and bun standing up on it’s own so you can add all the fixings. 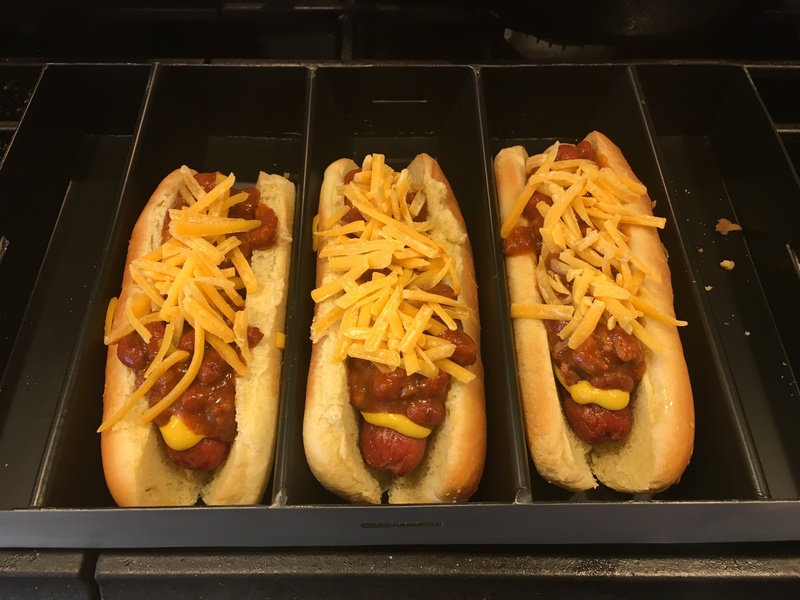 At Roake’s Hot Dog Folks, we believe “HOT BUNS MAKE IT BETTER.” That is why owner, Jim Roake, invented The Bun Grill so you can enjoy your hot dog in a nice, toasty bun. 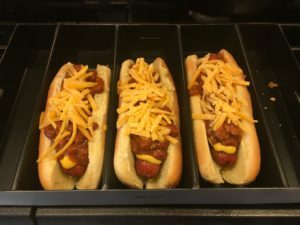 Have you ever been at a barbeque and sank your teeth in a juicy hot dog with all the fixings, but the whole thing ends up falling in your lap because it fell apart at the hinges? Have you ever tried to toast your hot dog bun on the grill (or oven), but the whole thing comes out dried out and crusty? 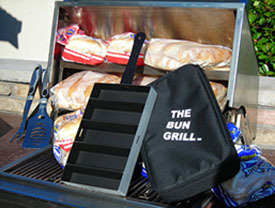 The Bun Grill is easy to clean, dishwasher safe, and can easily be taken with you on the go. Take it with you camping, tailgating, at your buddy’s barbeque. A quality and durable product made from heavy gauge aluminum. 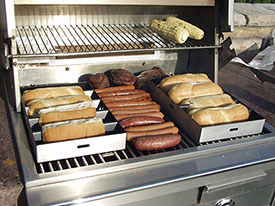 Accepts: Hot dog buns, stadium buns, hoagie buns, . Don’t settle for just a cold bun. Now you can have hot, warm, toasted buns done to perfection!